As a CPSA club we are a regular venue for local and national shooting competitions. 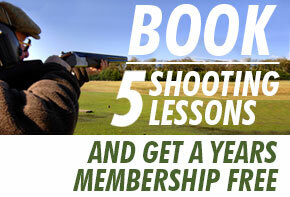 These will be advertised both here on the site and in the club house as well as on the CPSA website. During these competitions there is usually still access to trap on the ground though choice will inevitably be limited. Throughout the year we also run our own club league tables and periodic seasonal competitions. These are open for free entry to club members with trophy, voucher and cash prizes. A great way to set yourself some goals if you want to improve your shooting, don’t worry if you are a novice, everyone has to start somewhere. All results are posted on the site and in the club house as soon as possible after events. Set in the midst’s of a 1600 acre estate, children aged 10-14 will learn new skills, and enjoy some friendly competition at one of the North’s premier facilities. 10am – CLAY PIGEON SHOOTING – After a comprehensive Safety and Gun Handling Talk performed by a qualified Instructor, the group will be split into teams of 4. Each team will shoot a 15 bird competition on a variety of different targets. 11-30am – ARCHERY – Teams will then be taken to our covered archery range and will be taught an age old sport that was once compulsory for all children to practise every week. 12-30pm – LUNCH – Teams will break for Lunch, Packed lunches will need to be provided by parents, although food and drinks will be available from the cafe. 1pm – FALCONRY– At the Falconry centre at Coniston there are a wide variety of birds of prey, from Golden Eagles to Tawny owls. After a welcome from one of our full time Falconers, individuals will be given a quiz to complete, learning about the different species as they make their way around the aviaries. A demonstration will be given and an opportunity to fly one of the birds. 2 pm – AIR RIFLE – set in amongst the woodlands surrounding the shooting grounds are variety of knock down targets, along a path, simulating various quarry. After a briefing/safety talk each group will spend a little time zeroing the rifle before starting a field target comp course. 3-30pm – END OF DAY CERTIFICATES – Each participant will be given a certificate of attendance.